The British critic Norman Lebrecht has no counterpart in American cultural life. He is a polemicist whose field of play is high culture—classical music in particular; and his target audience is decidedly mainstream. He is a fascinating and infuriating figure, inexhaustibly opinionated, generally iconoclastic, sometimes brilliant, often tendentious, and frequently trivial. He has clashed prolifically with prominent musicians, scholars and music industry leaders; he has been denounced and his publisher was sued; and he has an eager audience which delights in his breezy, readable, and provocative books. Which is why his new book on Mahler must be taken seriously, even if it is recklessly argued and abysmally written. Why Mahler? is an uncomfortable mix of memoir and biography, a personal musing on the great Viennese symphonist who ruled over fin-de-siècle musical life, established still regnant standards for opera production, and may have been the greatest conductor ever to take up the baton. There are also those who believe that he was the most beautiful and the most profound composer of the twentieth century. Lebrecht’s odd book arrives in time for the 150th anniversary of Mahler’s birth this year, and the 100th anniversary of his death next year. Lebrecht has focused on Mahler before. His Mahler Remembered, published in 1987, is a useful collection of primary sources including letters, reviews, and contemporary accounts by fellow musicians, friends and enemies. Lebrecht’s new volume relies heavily on this same material, carefully cherry-picked to emphasize two broad claims: that Mahler’s music anticipates essential historic, scientific, and social advances; and that Mahler was not, as many scholars argue, uneasy about, or in flight from his Jewish background, but rather fully and even happily determined by it. Mahler’s symphonies, sprawling works for huge orchestras, often with vocal soloists and choruses, bridged the nineteenth and twentieth centuries. Although he never crossed the line into the rigorous atonality pioneered by Arnold Schoenberg, one of his greatest admirers, Mahler pushed at every limit of the form—at its basic dimensions, its melodic contours, its density and clarity of orchestration, its dynamic range and its polyphonic complexity. Contemporary reaction to his gigantic experiments was mixed. He was not, as is often claimed, a prophet without honor. But neither was he widely or eagerly embraced, at least not until decades after his death. Today, in an age of sound bites and reader-friendly 250-page novels, when the basic units of culture seem ever shorter and more fractured, there is a large and passionately devoted constituency for the symphonies of Mahler, for their ambition and their magnitude. Mahler is not the only artist who attracts this sort of nonsense, but his partisans seem particularly inclined to it, in part because the composer lived during a period of great intellectual foment. But even if you believe in a very virile form of the zeitgeist—and accept that Mahler was living and creating music in one of the great cauldrons of modernity—it is preposterous to think that he could divine the future. This is an old trope: the suffering artist as Cassandra. For some very passionate Mahler lovers, the idea of Mahler as prophet also seems to compensate for the bigotry and the anti-Semitism which hounded Mahler throughout his career—a revenge of the future on the wrongs of the past. Leonard Bernstein was pulled in this direction, claiming in 1967 that “only after we have experienced all this through the smoking ovens of Auschwitz, the frantically bombed jungles of Vietnam, through Hungary, Suez, the Bay of Pigs, the farce-trial of Sinyavsky and Daniel, the refueling of the Nazi machine, the murder in Dallas, the arrogance of South Africa, the Hiss-Chambers travesty, the Trotskyite purges, Black Power, Red Guards, the Arab encirclement of Israel, the plague of McCarthyism, the Tweedledum armaments race—only after all this can we finally listen to Mahler’s music and understand that it foretold all.” (It foretold nothing, of course; but one can at least sympathize with Bernstein’s heated rhetoric, given how closely identified the American conductor was with his musical forebear and how passionately he wanted to connect music with the politics of his day). Bernstein played an essential role in establishing the Mahler symphonies as a core repertoire in the world’s symphony halls. When he was championing Mahler in the 1960s, the composer’s symphonies had been languishing in a state of scandalous neglect in many corners of the musical world, dismissed as over-the-top late Romantic emotionalism. Lebrecht, however, opens his book with an extended celebration of Mahler’s belated success, his universality, his omnipresence in the symphony hall, his influence on pop culture (“Mahler can be heard in the rock music of the Grateful Dead, Pink Floyd, King Crimson, Blue Nile, and John Zorn“), and on politics and world history (“Did Mahler Invent the Modern World?”). Lebrecht’s exaggerations and distortions—does anyone really hear Mahler in the Grateful Dead or John Zorn?—are not designed to redeem Mahler’s reputation or to revive his music. He seems instead to be inventing a cheap and superficially relevant Mahler for now—a primitive, inspirational understanding of the composer, designed to appeal to new audiences and in particular to audiences inspired by the David-versus-Goliath narrative that so often crops up in Mahler’s battle with entrenched ideas, mediocrity, establishment cultural figures, and the virulently anti-Semitic Viennese. He is the most reluctant, the most resentful, of converts. “I had to go through it,” he tells Walter. “This action,” he informs Karpath, “which I took out of self-preservation, and which I was fully prepared to take, cost me a great deal.” He tells a Hamburg writer: “I’ve changed my coat.” There is no false piety here, no pretense. Mahler is letting it be known for the record that he is a forced convert, one whose Jewish pride is undiminished, his essence unchanged. Lebrecht is too selective in his interpretation, and does not adequately confront the ambiguity of that last line: “Inwardly I was not averse to the idea at all.” Mahler’s conversion had none of the drama of Heine’s, it was a ticket to employment, not a “passport to Western civilization.” And Christianity had an aesthetic resonance for Mahler it never had for Heine. Picture the scene: Anxious little Jew about to marry blond bombshell, trips over his prayer stool and falls flat on his face, ha-ha, no one laughing louder than the priest, Josef Pfob. Is this what really happens? My scrutiny of the spot suggests an ulterior scenario. Above the altar is a Baroque sunburst with four Hebrew letters at its center—yod, heh, waw, heh—the tetragrammaton that is the unpronounced Jewish name for God. Gustav Mahler looks up as he sinks to his knees, misses his footing and falls. Alma thinks he trips because he is so short. But Mahler has just seen the God of the Jews. Guilt and betrayal clog his gullet. He needs a moment to collect himself before he takes Christian vows. He falls over to gain time. This passage exemplifies Lebrecht in all his boldness and idiosyncrasy. He has noticed something interesting: the Hebrew characters in the church. There is no evidence for the psychodrama he sketches, and the idea that Mahler intentionally throws himself to the ground “to gain time” is completely unsupported. (Of course it would make a very good scene in a film.) 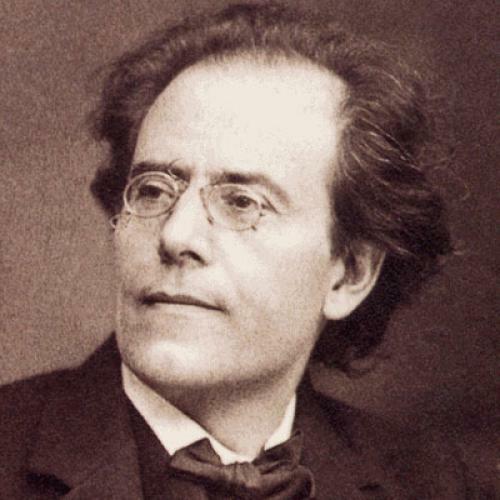 As for Mahler’s feelings of guilt and betrayal, here is de la Grange again: “Nothing, either in Mahler’s reported words or in his letters, betrays the slightest guilt feeling for having left the religion of his ancestors, a remorse which nevertheless has been attributed to him.” Although Lebrecht laments that there is a “cult of victimhood” around Mahler, he repeatedly perpetuates myths on which that cult is based. How does Mahler pack so much emotion into so trite a word? The “Ewig” enigma resisted me for years until a chance sighting at a 1988 exhibition in Vienna cracked a subconscious code. It was the fiftieth anniversary of Hitler’s Anschluss, and among the artifacts was a photograph of a railway station festooned with a banner: “Der Ewige Jude,” the eternal Jew. Again, there is not a shred of evidence for this speculation, which is based on connecting a single word from a song text, paraphrased from a Tang Dynasty poem, to events three decades in the future. And Ewigkeit is one of the oldest clichés of German Romanticism. Confronted with such a wild hermeneutical leap, the reader has a revelation too: the book should not be called Why Mahler, a question which answers itself, but rather, My Mahler. And his Mahler is in many ways not Mahler’s Mahler. The book’s facts are also slippery. When Mahler conducted Mozart’s The Magic Flute in February, 1901, it was the 110th anniversary of the work’s premiere, not its centenary. The author’s odd use of the present tense throughout the book creates confusions of chronology. And Lebrecht further confuses things by sloppy juxtapositions: “He has a familiar image in mind,” he writes of Mahler’s First Symphony, which he claims was inspired by Mahler’s memories of village musical life—but the image in question, the one that in Lebrecht’s account served as an inspiration for Mahler’s composition, was Marc Chagall’s painting Fair at the Village, which was not finished until 1908, many years after the First Symphony. And finally there is Lebrecht’s excruciating prose. He is a good storyteller, and the book is well-paced and passionately written. But he has no taste. Describing a beautiful singer whom Mahler has trained and helped to form artistically, he says: “When he makes love to her, he is like a plastic surgeon sleeping with a model whose breasts he has rebuilt.” Describing the Wörthersee, where Mahler spent his summers, he writes: “An hour before dawn the full moon squats on the lake like a sunken life buoy, fat and vaguely comical.” Lebrecht is also easily seduced by silly aspirations to relevance and topicality, as when he claims that Mahler’s ambition was to “transform the orchestra from entertainer to think tank.” Examples of such nonsense abound. Readers who know a bit about Mahler will quickly become suspicious, but readers who have purchased this book as an introduction to a difficult and immensely rewarding subject will simply be led astray. It is shocking to see a serious writer rehash so many old clichés and legends, and understand them so simplistically. It is sad to see the level of writing devoted to a layman’s guide sink down to where it was a century ago, when writers about high culture regularly indulged the most romanticized conventions of cultural myth making. So here, for the record, are a few reliable facts for anyone new to Mahler. He was born Jewish, and his Jewish roots remained a part of his life and his music; he converted to Christianity for the sake of his career and elements of Christian culture were deeply attractive to him, though not in any religious sense; his spirituality was more than Jewish or Christian, and was derived from a smorgasbord of philosophical, pagan, and Judeo-Christian ideas; and the spiritual life, and its perennial questions, never ceased to be the most important subject in his music. He was also a supportive colleague and an imperious boss, needy and giving, kind and cruel, modest and ambitious. He died too young, from a weak heart compromised by bacterial infection, at the age of fifty. His symphonies, always deeply respected by serious musicians, were never entirely neglected, though his triumph did not occur until half a century or more after he died. Anything else of importance, and there is much else, can be found in his music. Philip Kennicott is The Washington Post's culture critic.